Hospitality sector has witnessed immense growth since 2008 and is considered the most competitive industry in today's time. In order to meet the increasing demands of the customers in this sector, some big hotel chains are now investing a huge amount of their money in technology. Such technological advancements will also enable these service sectors to stay ahead of the rest and be best in the industry. 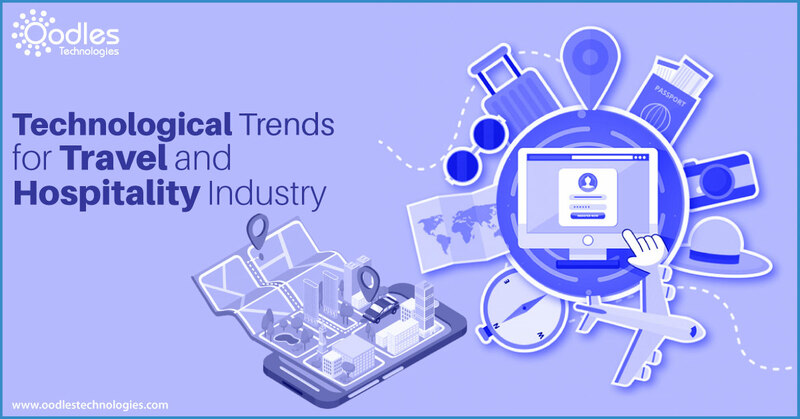 In this article, we will be discussing upcoming technological trends that travel and hospitality industry cannot ignore. The below-stated tech trends in this service sector will be responsible for shaping the industry’s future. In order to avoid the last minute chaos of hotel booking, a large number of customers want to prebook their stay on different booking platforms like agoda.com, hotels.com, booking.com and more. These booking applications help the customers to filter their preferences in terms of the type of room that customer would prefer and type of services he would like to avail. Easier hotel booking not only helps the customer but it also helps the hospitality sector to plan out the arrival of customers and serve them in a way which is best suited for them. Nowadays, various travel applications also display reviews of customers that have already visited the hotel previously. These reviews will then help the potential guests to better understand the services of the hotel they are thinking to book. Since technology is advancing at a fast pace, it won’t be wrong to say that the customers might experience their room in virtual reality settings, prior to making the bookings. Artificial Intelligence has already influenced a lot of businesses today and its impact will be felt in the coming years in many new industries too. A lot of hospitality sectors have already started implementing friendly robots to complete the housekeeping tasks that do not require face to face interactions. AI is being used extensively and helps offer flawless experience to the customers. The technological shift will help improve the guest experience and will also improve the quality of person to person exchanges. Technological advancements enable the hotels to enhance their targeting. A lot of hotels have already upgraded themselves technologically. These hotels are now making use of the technology to remind the guests in their hotel about the scheduled meetings. The hospitality sectors also arrange for wakeup calls so that they do not miss out on anything while traveling. The ability of advanced technology enables customers to connect with the targets in real time. It helps reduce marketing cost while trying to increase effectiveness at the same time. Nowadays, every hospitality sector is upgrading their technological services. The recent technological upgrade is making the guest rooms smarter. These smart rooms will be well equipped with the latest technology and would work on fulfilling the preferences of the guest since the time they would check-in. This type of smart technology will be able to control room-temperature or switch on the television as per the preference of the guest. Voice-activated devices in smart rooms will deliver the customers to use lights, control temperature, and avail other features in a room with ease. Hotel Hilton has already implemented smart technology in rooms and has proved to be beneficial for the guest staying in the hotel. Smart rooms can be one of the leading factors to shape the future of the hospitality industry. After analyzing the ongoing market trends, it will be right to say that these four factors will decide how the hospitality sector would grow. These factors will lead to shape the future of the hospitality industry and will also help improve the overall customer experience. Want your hospitality industry to be technologically upgraded look no beyond than Oodles Technologies. In case of queries feel free to contact us.